This is a topic that troubles and divides scientists, NGO workers and the public. The fact : Since the 1970, NGO and governments have been spending huge amounts of money to conserve “individual” animals like pandas, tigers, orang-utans, dolphins etc…What’s the WWF mascot? Oh yeah, a panda.. The reason : it’s pretty simple. 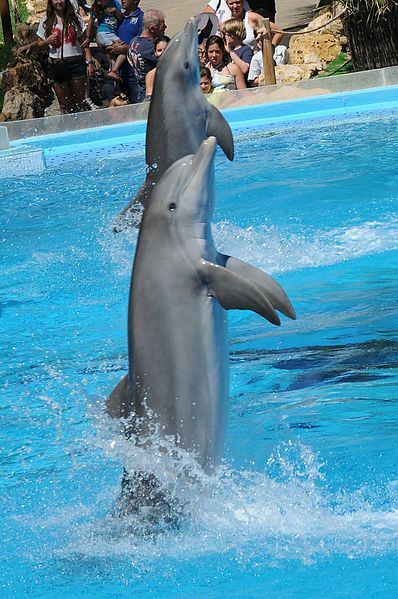 Fluffy pandas, impressive tigers or cute dolphins appeal to the feelings of many people, especially of children. People feel concerned, and give money. 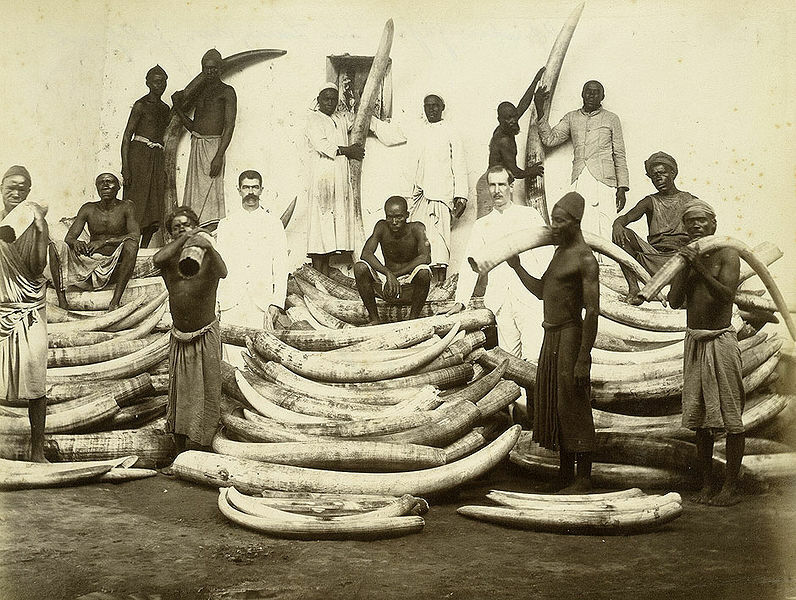 NGO and governments make huge efforts to survey, monitor, study and breed threatened animals. That’s why governments and NGOs are building red lists, and using specific terms (e.g. 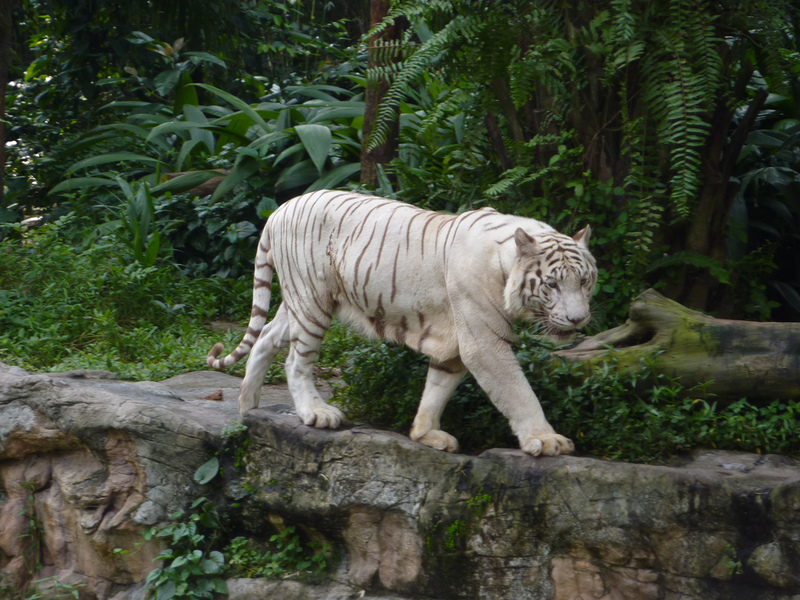 critically endangered, etc…). 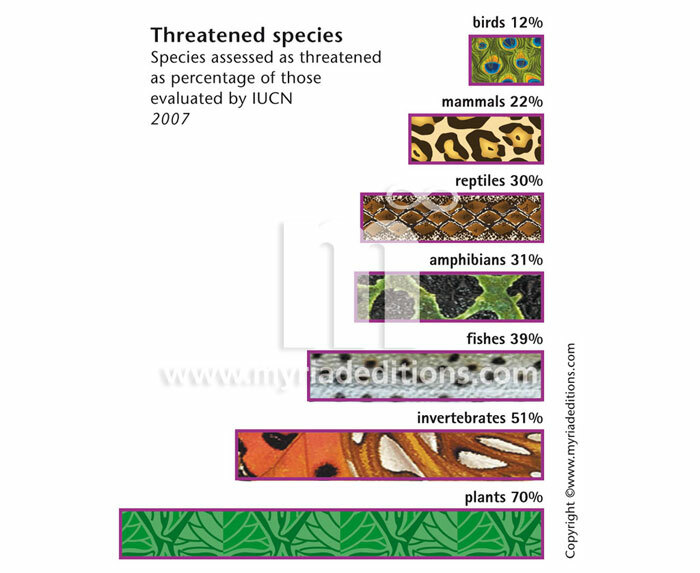 Here is an insight on the amount of threatened species (i.e species that are vulnerable, endangered or critically endangered). However, the question needs to be raised : should we continue to focus on individual flagship species or try to save HABITATS and VALUABLE species instead? Introduced in 1988, the concept of biodiversity hotspot must be considered when talking about conservation. What are these hotspots? 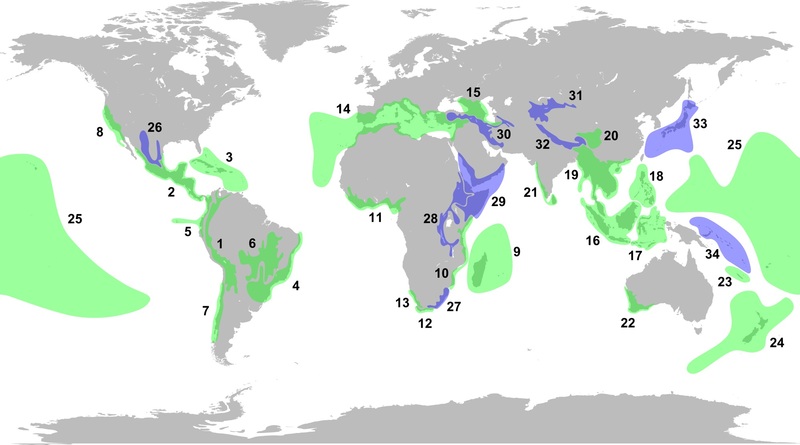 Areas which bear at least 1500 endemic plant species (species that aren’t found elsewhere) and which have lost at least 70% of their original area. 34 hotspots are actually recognized (see the map). Many of these hotspots hold very high human-population densities. Many of the people living in these don”t even know their area is essential, in terms of biodiversity. Some hotspots have a lot more coverage : you can’t ignore that the rainforest is in danger because of deforestation, or that South-East Asia coral reefs are bleaching. But who knows that mountains in Kyrgyzstan hold the ancestors of our domestic fruit varieties, or that California insect species represent 40% of the USA total insect biodiversity? Should we continue to collect money for individual flagship species conservation or redirect our conservation efforts? A recent study (RUDD, M. A. (2011). Scientists’ opinions on the global status and management of biological diversity. Conservation Biology, 25) calls upon a reflexion. 583 biodiversity specialists took part in a survey, with various questions regarding conservation. The results? 59.6% agree that some triage criteria should be established, which means that conservation efforts (and money) should be redirected where they can really make a difference. Focus on habitats. 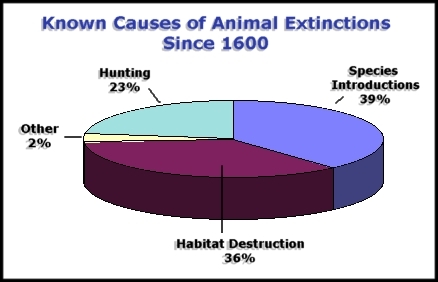 There are many ways habitats can be protected, by raising awareness, implementing restoration programs, reducing the pressure and perturbations…of course particular efforts should be made in biodiversity hotspots, but habitat protection is needed everywhere.This graph published by the World Conservation Monitoring Centre shows that habitat destruction accounts for more than a third of the extinction cases. It was published in 1992, I bet the situation is far worse now. Focus on useful species. I hear people screaming : so species are not equal? The answer is no. The extinction of pollinators like bee threatens the world agriculture. 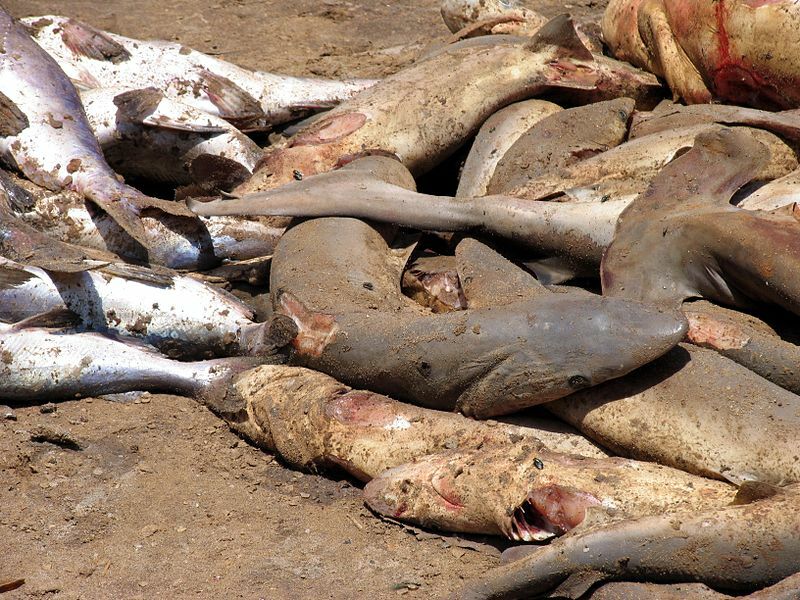 The disappearance of top predators (sharks, wolfs… etc) disturbs the whole ecosystem equilibrium. I could cite a million more plants & animals that hold a crucial role in the ecosystems and in our lives. 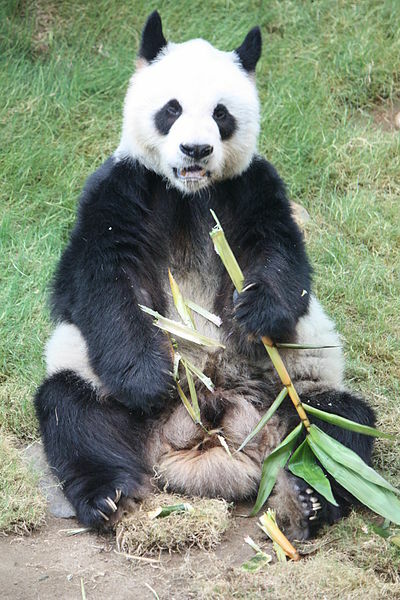 In contrast, giant pandas have a very limited ecological role : they are mostly vegetarian, and disperse bamboo seeds. The obvious problem? : Ants, snails or vicious looking rodents won’t appeal to the public as much as dolphins or koalas. What can we do then? – Some scientists think we should maybe keep the flagship species, but use the money to protect entire areas, or particular habitats that have a very important ecological role. – Some others believe that time is running out, and that conservation efforts must be switched to “target species”. – Some say we should focus on genetic diversity rather than species : try to preserve non closely-related species in a genus, for example, in order to keep a lot of different genes. Previous Post Et si on s’intéressait aux oiseaux? Next Post Jardin Botanique de Meise…mais où est le printemps? I studied Wildlife Conservation at university, and I wholly agree with saving habitats and the environment as opposed to individual animals – if there is not the habitat, like with Panda’s and bamboo forests, then such efforts to bring them back from the brink of extinction will be wasted. The flagship species should still be used as they draw so much public attention, but the funds raised should be used to protect and enhance the animals habitats, not just the animals themselves.